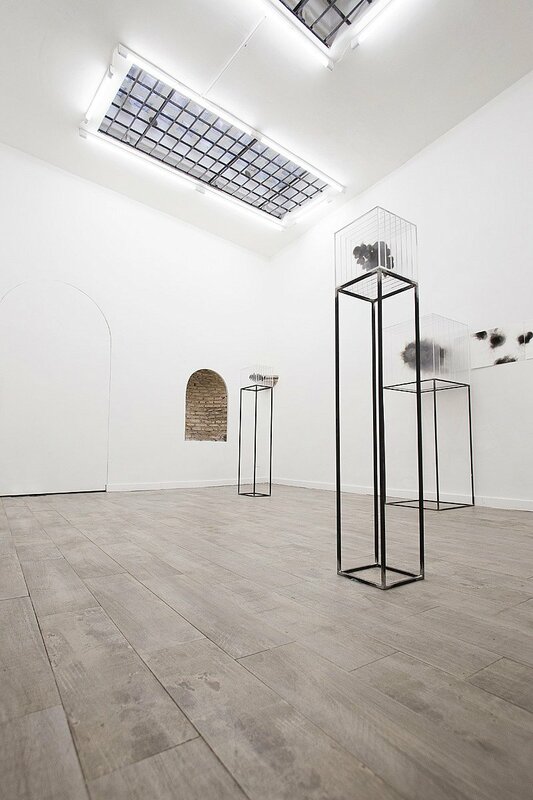 Suspension, evanescence, abstraction: these are the first sensations the sculptures of Isabel Alonso Vega evoke. 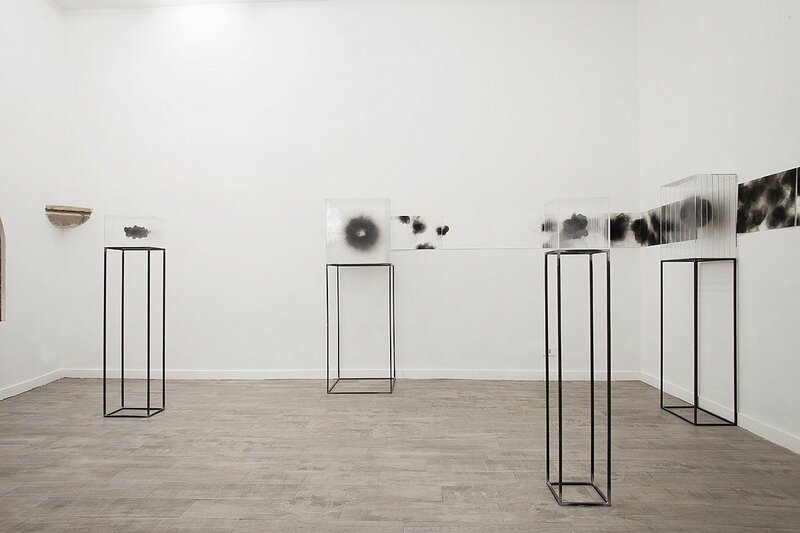 The artist will present her works in Italy for the first time during her next solo show, Senza Fuoco, opening on January 19th at White Noise Gallery, Rome. 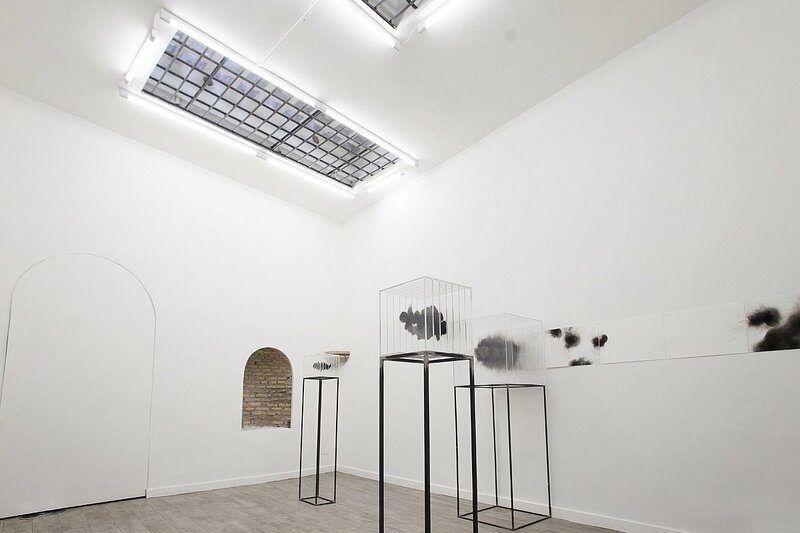 Her artworks are absolute and archetypical images, able to communicate on an unconscious level. 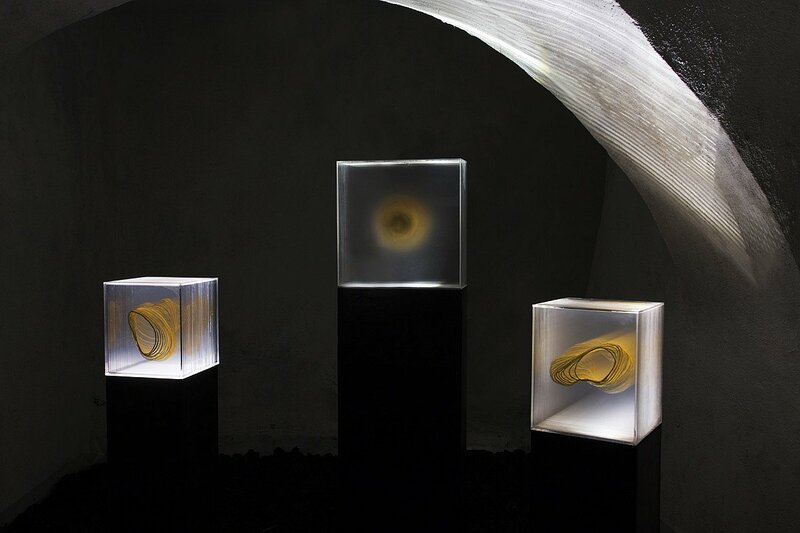 The artist overlaps several plexiglass centrings painted with different techniques -sooth, gold leaf, acrylic- inside clear cases, giving the illusion of an ethereal suspension. The pieces on view focus on two specific shades: black and gold, evoking a sequential path towards enlightening through meditation. 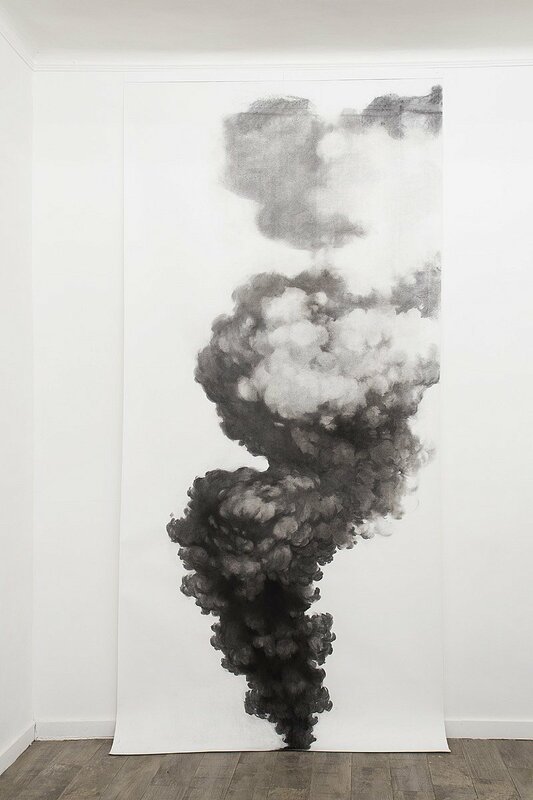 The black clouds, created burning with live fire the different layers, are in dialogue with large-scale drawings, their two-dimensional ideal projection. 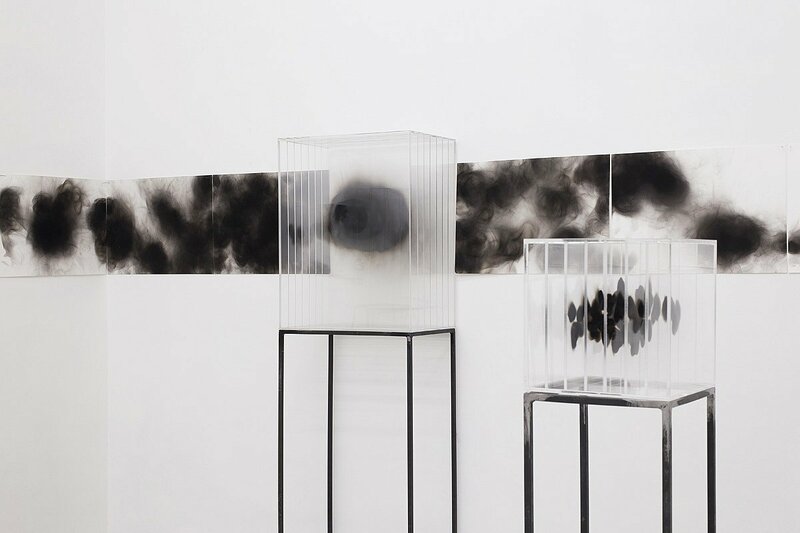 Smoke columns, black holes or mysterious shadows embody the concept of unknown, taking the viewer to a dimension of pure contemplation. 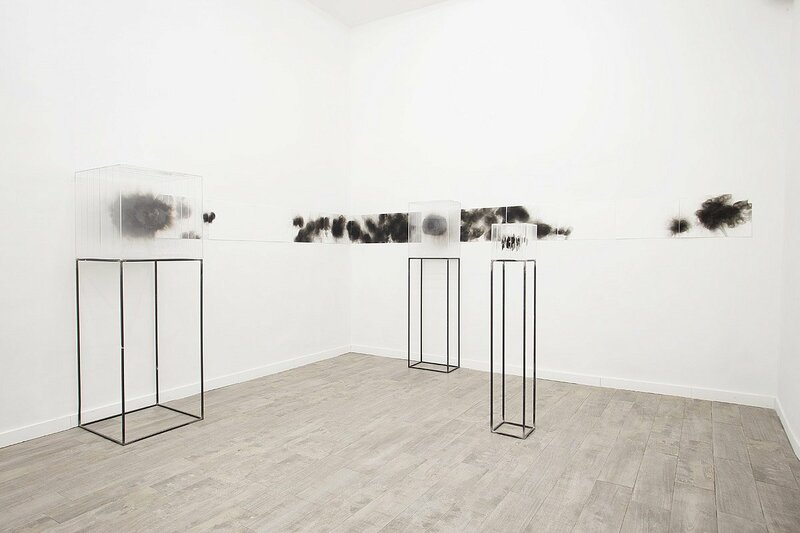 Taking inspiration from the Late-Medieval text “The Cloude of Unknowyng”, Alonso Vega creates weightless structures that overtake language and comprehension, allowing the viewer to contemplate the ineffable. 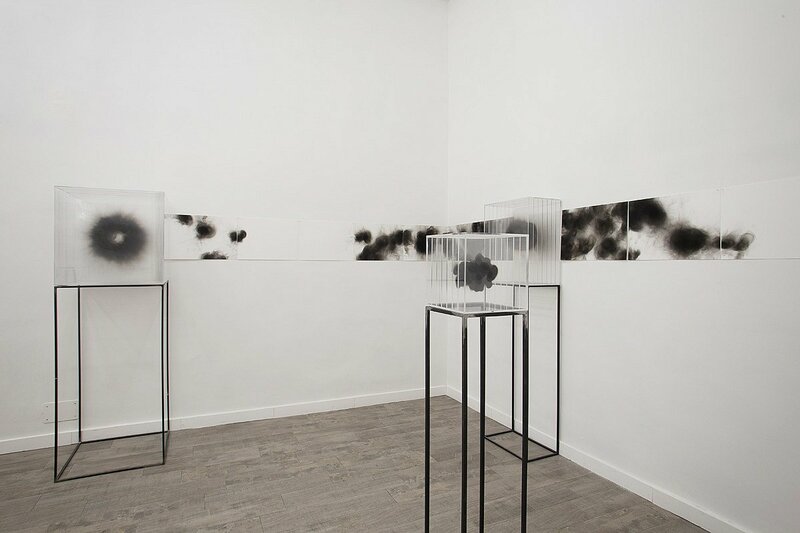 The works of Isabel are a hybrid form of abstraction, whose references to understandable forms such as cells or clouds, are immediately lost in favour of a completely subliminal interpretation. 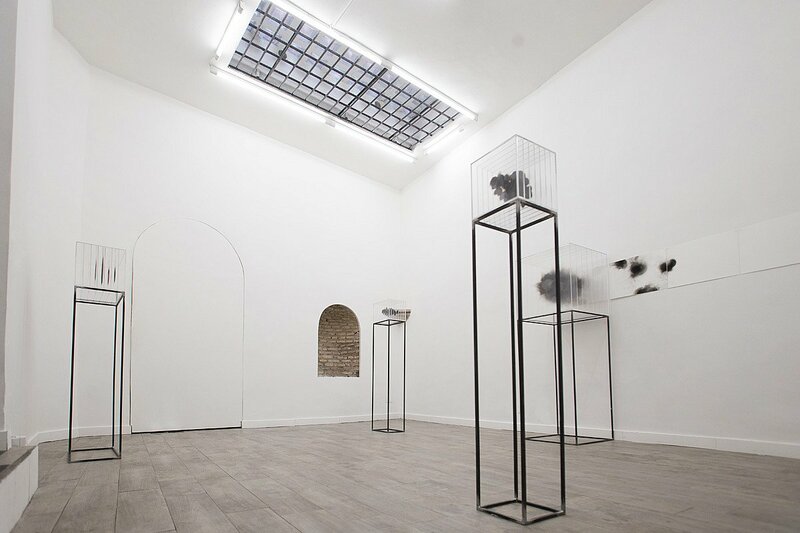 Suspension and obsessive formal simplicity create an immediate fracture between meaning and signifier, creating a completely irrational form of communication. In 1910, Vasilij Kandinskij entered his studio and got struck by a work accidentally hung upside down. What he saw was a perfect painting, irradiating an internal light, where he could finally only see forms and colours, free from any other meaning. It took us centuries and several revolutions to recognize the importance of Abstract art, to understand its ability to communicate without using any clear term. 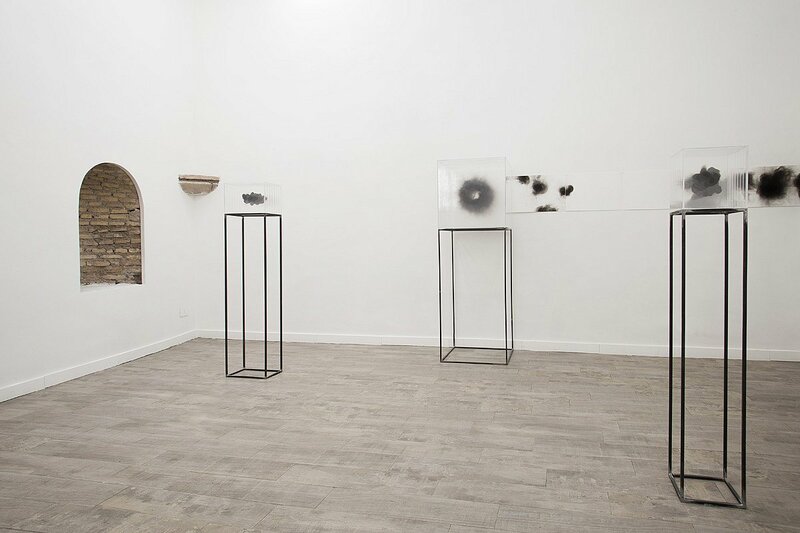 The work of Isabel Alonso Vega seems to be moving in the same direction: monumental sculptures without any mass, able to give form to the evanescence. Isabel Alonso Vega was born in Madrid in 1968. She lives and works between Madrid and Berlino. She graduates in 1991 in Fine Arts at Universidad Complutense of Madrid. 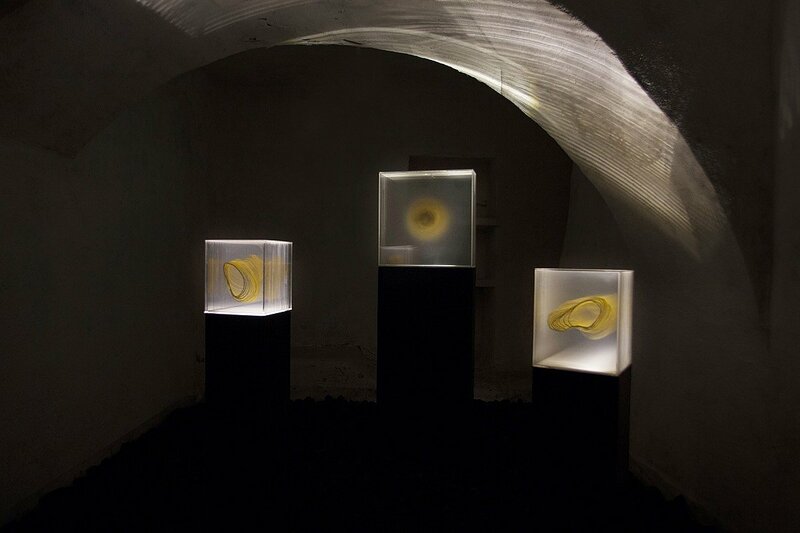 Her works has been shown in both solo and group shows in Spain, Germany, Switxerland and the US. 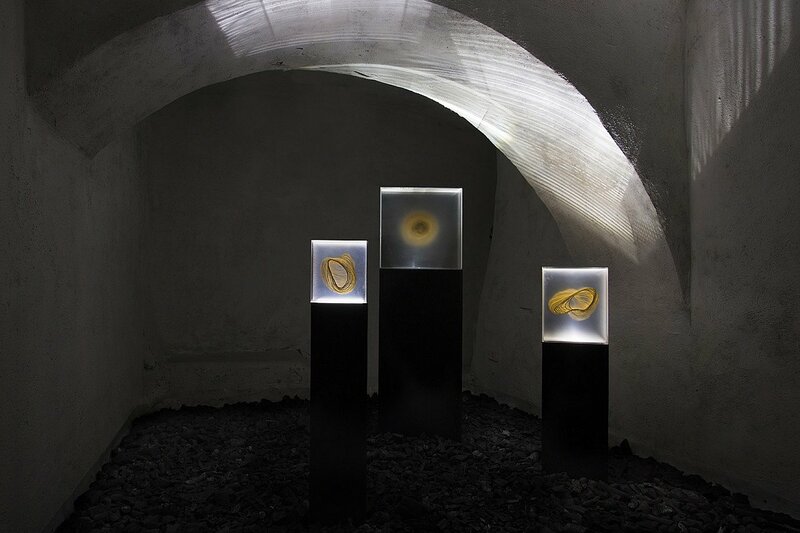 It has been presented in art fairs in Miami, New York, Basel, Zurich, Koln, Berlin and Madrid.